Watch Geoff Johns give a personal tour of the first six pages of 'Doomsday Clock' – AiPT! 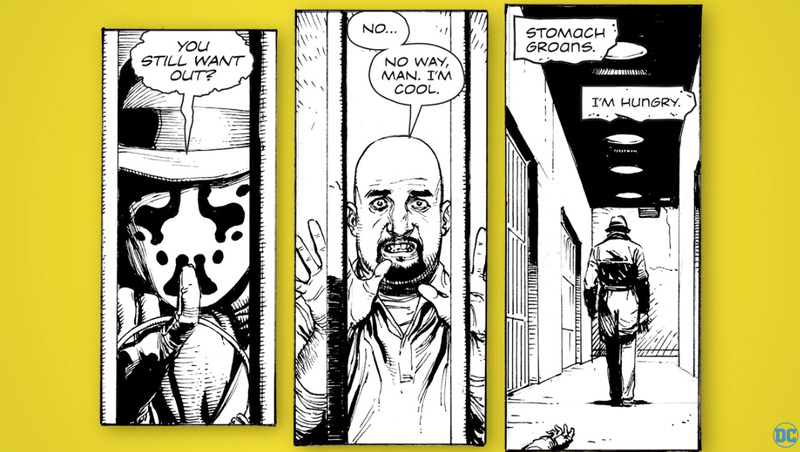 At New Comic Comic Con 2017, DC Comics gave an unprecedented look at Doomsday Clock, the highly anticipated Watchmen sequel, in the form of an intimate, art gallery-style showing with the first six pages hanging on the wall, unlettered. From there, Johns went through each page, explaining what each panel will contain and how it affects the story. It was an incredible experience that we were humbled to be a part of. Today, as Doomsday Clock inches closer, DC has released a video giving that same inside look at the comic to everybody. It’s one thing to take a look at the preview pages, but it’s another experience entirely to have the mastermind behind the story walk you through them. Doomsday Clock #1 will be released November 22, 2017. Check out our preview and check out the video below.